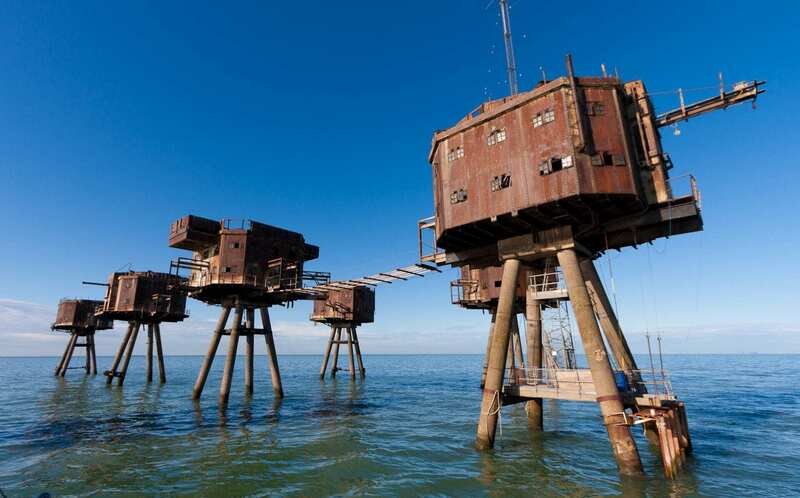 Located off the English coast in the Thames and Mersey estuaries, the Maunsell Forts are Second World War defensive platforms that were built to defend the UK against enemy aircraft. Named after the civil engineer responsible for their design; Guy Maunsell, construction of the forts begun in 1942 until they were eventually decommissioned in the 1950’s. Maunsell designed two distinct fort concepts for deployment, the singular Naval Forts and the cluster array Army Forts. The Naval Fort superstructure consisted of two hollow cylindrical towers connected to a 51-metre pontoon base. The fort was constructed onshore, floated to its deployment area and sunk till only the towers remained exposed above the waterline. The hollow towers were divided into several floors, consisting of quarters for the 120-man crew, storage rooms and an anti-aircraft munitions depot. They were capped by a central steel gun deck armed with QF 3.75 inch anti-aircraft guns and two further Bofors 40 mm anti-aircraft guns. 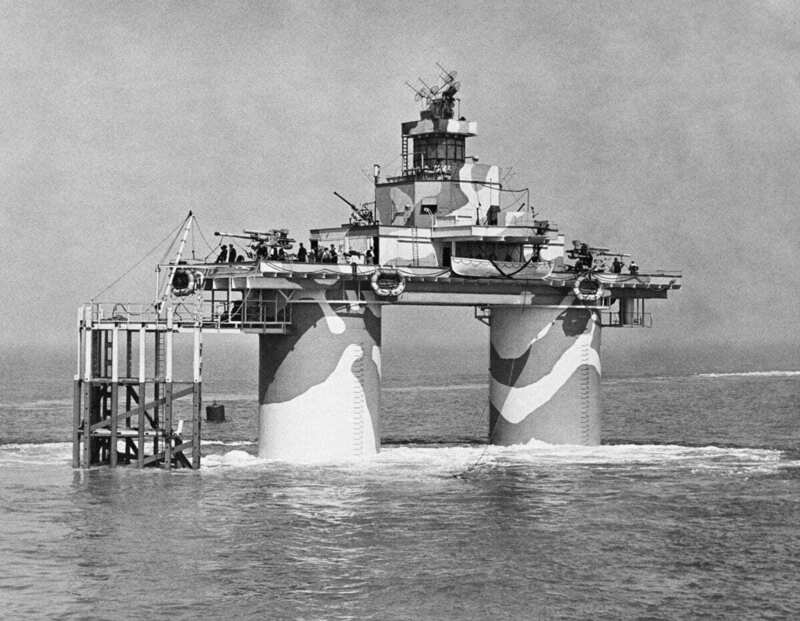 By 1943, Maunsell designed a new concept fort system consisting of several interconnected steel platforms in a defensive array around a central control tower. Four towers were armed with QF 3.75 inch guns arranged in a semicircle ahead of the control centre and accommodation tower. A rear tower was armed with Bofors 40 mm guns and an adjacent tower was mounted with searchlights to detect enemy aircraft. In the 1960s and 70s, various Maunsell Forts were famously taken over as pirate radio stations. Paddy Roy Bates occupied the Rough Sands Fort and set up Radio Essex, later renamed BBMS—Britain’s Better Music Station. He, or a representative, has lived in Roughs Sands since 1964, self-styling the tower as the independent Principality of Sealand.